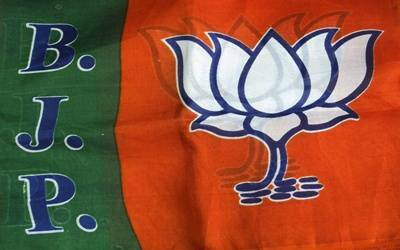 Bhubaneswar, April 14 (IANS) With the campaign for Lok Sabha and Assembly elections in Odisha picking up, central leaders of the Bharatiya Janata Party (BJP) are descending on the state to woo the voters in favour of their party candidates. Odisha is one of the key eastern states where the saffron party has placed high hopes on making significant gains. The Lok Sabha and Assembly elections are being held simultaneously in the state in four phases. Prime Minister Narendra Modi will visit the state on April 16. He is scheduled to address two rallies in Bhubaneswar and Sambalpur on the same day. Modi will also hold a roadshow in Bhubaneswar and address a public meeting at the Baramunda Ground here, state BJP vice-president Samir Mohanty said on Sunday. Modi will hold a roadshow from the Biju Patnaik International Airport (BPIA) to the meeting venue via Siripur Square, Mohanty said. Both Bhubaneswar and Sambalpur parliamentary constituencies will go to the polls in the third phase on April 23. BJP national President Amit Shah will also address two rallies in Baramba in Cuttack district and Dhenkanal on April 17. Shah had addressed a public meeting on April 12. Uttar Pradesh Chief Minister Yogi Adityanath will hit the election campaign trail in Odisha on Monday. During his one-day visit to the state, Yogi will attend public rallies in Rourkela, Angul and Phulbani, said BJP spokesperson Golak Mohapatra. While several Union Ministers have already visited the state, Delhi BJP chief Manoj Tiwari on Sunday attended roadshows and public rallies at Brajarajnagar and Jharsuguda. To counter the BJP, the ruling Biju Janata Dal (BJD) has depended on its president and Odisha Chief Minister Naveen Patnaik, who is moving across the state to woo the voters. The Chief Minister will campaign in Bargarh and Bolangir districts on April 15 with a night stay scheduled at Bargarh. On April 16, he will visit his second assembly constituency of Bijepur, where he is scheduled to hold public meetings. Patnaik is contesting from the Hinjili and the Bijepur Assembly constituencies, both of which will vote in the second phase on April 18.